You come home, where you always meet home fuzzy. He winds under your feet, gropes and rubs his leg, leaving no doubt about his love for you. But did you really try to understand what’s going on inside him? Perhaps he just wants to erase you into powder, and all caress is a solid props, designed to hide one thing — your cat wants to kill you? In this article, we take a sober look at the problems of the modern kitten, learn to interpret the behavior of the cat, and finally answer the most important question — what to do if my cat wants to kill me. The cat treads on you paws. Doing such a massage, he studies your weaknesses to apply an exact fatal blow. Comes to the face when you sleep. Thus, the cat reminds you that it’s time to wake up and get out of the house so that he can further build insidious plans and set you traps. He digs in the tray so that he almost falls asleep a washing machine. Can you guess whom he will bury next? Sleeps on your laptop. The cat is not a fool — he knows that all his dark tricks have been exposed on lifeo.ru. All he has to do is block your access to the site, sprawling on the device. Brings dead animals. This is not a gift as a token of loyalty, it’s a warning. The cat reports that you are the next. Eats grass. Thus, the cat is preparing for the moment when you are finally dead, and it will have to eat in its natural environment. Suddenly crashes out and rushes out of the room where you are going. Keep in mind that hunting for you has already begun, and every such case is one unsuccessful attempt. Continually looks at you. Do not give in to your cat in this duel of views. Otherwise, you risk showing your weakness and being immediately attacked. Hides in dark places, and peeks out from there. 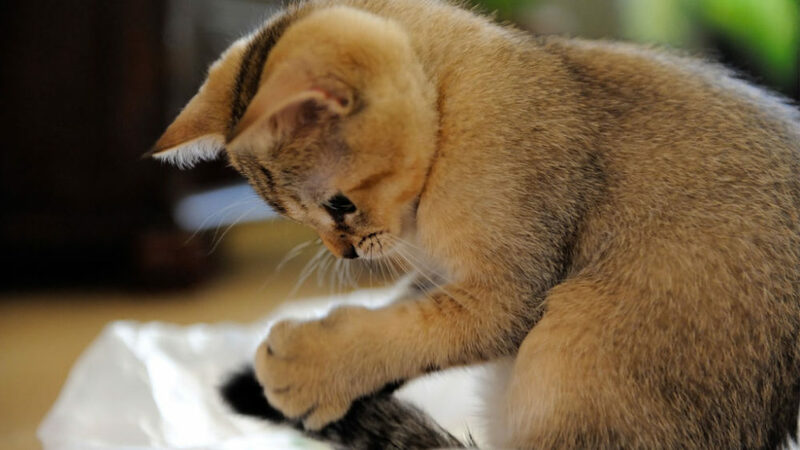 The cat learns your habits at a time when you do not see it, and also searches for places for a decisive ambush. When the cat yawns, thrust a finger into his mouth. 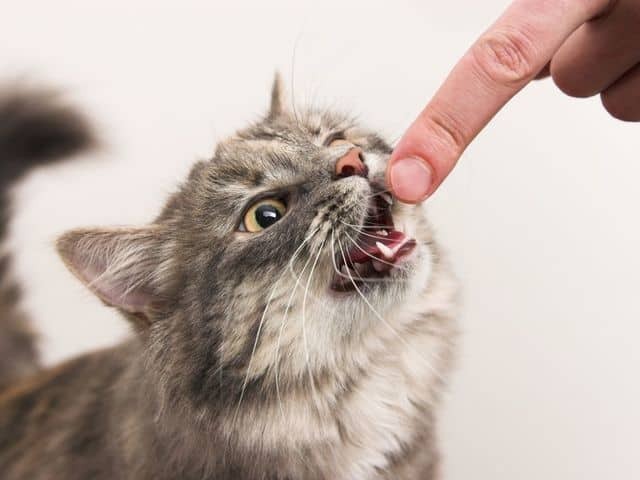 If he tries to remove his finger with frustrated discontent and champing, and close the «mitten», then the cat is on your side. And if you could extract only the remainder of your finger, and one or two phalanxes were left in the teeth in the beast, then the matter is rubbish. So, what to do if your fears are confirmed and your cat really wants to kill you? Let him play with a ball of woolen threads. In half an hour the cat will be connected and forced to capitulate. Give the cat a valerian. He will not think of killing you … as long as it works. It is not recommended to give a pendal to a cat — it will only strengthen its irrepressible thirst for blood. Bring a Shawarma home, so that he understands what happens to him similar. Get a dog — a bodyguard. The cat will have another primary target. Drag the time. It works for you: the life expectancy of a cat is 4-5 times less than a human. And, if you hold out enough, the cat will throw back the claws before you. Scratch the cat behind your ear and pat on the back, feed. Let him think that you are worshiping his Divine persona. Perhaps he will take pity on you and allow him to be his slave. But we also need to take responsibility for ourselves: as a rule, if my cat wants to kill me, then I myself am to blame for this: I did not feed him on time, called someone else’s name, did not notice in the dark. Usually cats are on our side. Even if you suddenly found a wet spot after the cat on the bed, then most likely, with these marks, he wants to attract for you at least some of the females on the couch. But in any case, you are now aware of how to find out that the cat wants to kill you, as well as what to do in this case. Informed — armed. We hope you are also aware of why cats are afraid of water and what makes them scared of cucumbers.